Breakfast, often billed as the most important meal of the day, gives humans energy and helps them focus on the day ahead. After breakfast, don't throw your eggshells and used coffee grounds away. Instead, use them to fertilize your garden. Eggshells contain nearly 98 percent calcium, and coffee grounds offer generous helpings of copper, nitrogen and potassium. Just like humans, plants need these nutrients to thrive and produce flowers or fruit. Feed your plants eggshells and coffee grounds to fertilize them and keep them healthy. Give plants a boost with used coffee grounds. Wash the eggshells thoroughly with water. Remove all traces of egg from the shells. Set the eggshells in a warm place, such as on a windowsill and allow them to dry. Crush the eggshells into smaller pieces and put them into a blender. Blend the eggshells until they turn into powder. Sprinkle the powdered eggshells in the soil around all trees, garden plants and potted plants. 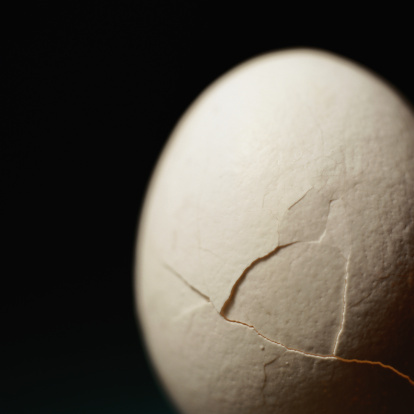 The eggshells add calcium to the soil as they break down. Dry used coffee grounds by putting them in the oven. Do not turn the oven on; the enclosed oven alone is enough to dry the coffee grounds. 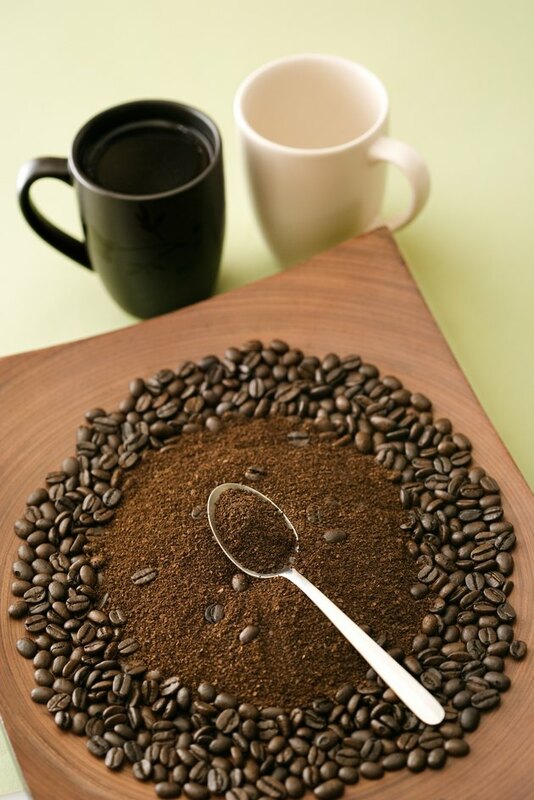 Sprinkle 1 tablespoon of dry coffee grounds into the soil of each potted plant. Cover garden soil with 1 cup of dry coffee grounds. Water plants after adding the coffee grounds to release nitrogen into the soil.